I claim that digital technology, particularly in the form of computational media, is a universal acid to the practice of teaching mathematics. We are, I contend, going through a process of re-thinking education, particularly in relation to mathematics and science, more profound than at any other time in human history. Old topics and skills that seemed so critical just a few years ago are now being brought into question. The nature of mathematical skill and cognition is under a spotlight, and many teachers at all levels, K-20, are becoming confused and concerned about the changes afoot. I see in my colleagues, both in universities and schools, aspects of Kübler-Ross’s 5 stages of grief: denial, anger, bargaining, depression and acceptance. There is no holding the universal acid of computational media, so far as mathematics is concerned. All previous ways of acting and behaving, all esteemed skills, are being radically transformed as computational media eats away at practices of mathematical education. Many teachers are in denial, many are angry, quite a few are depressed, and relatively few, yet, are accepting of the changes being wrought by the universal acid of computational media. I currently teach calculus and differential equations to science, engineering and mathematics majors. Fall semester 2009 I had a class of 44 engineering students, 40 young men and 4 young women, for multi-variable calculus. Anyone who knows anything about this subject will know it is very geometric in nature, with the behavior of vector fields in 2 and 3 dimensions on center stage. Maple acts nicely to help students see more clearly in 3 dimensions, and to assist them in drawing better pictures, as a result of their clearer 3-dimensional vision. This is a very positive aspect of computational media – of which Maple is an excellent example – and most mathematics teachers are keen to use this sort of technology for the purpose of assisting students to develop skills of thinking in 3 dimensions. The same students generally do not recall facts and procedures from earlier calculus classes and still have quite weak algebraic skills. Very few can recall how to solve a quadratic equation, their trigonometric skills are weak, and they make a lot of algebraic mistakes. If these students have to integrate by parts or by substitution they generally do not recall well how to do that. So when it comes to double and triple integrals, and line integrals, these students are generally lost, way at sea. Is this bad of me? Shouldn’t they be learning these skills? Well, here’s where computational media as universal acid comes in: Maple can do all the algebra and all the integrals the students might ever be able to do, quicker and more accurately than they ever will. So what skills, what ways of thinking, what habits of mind, what learning outcomes do I really want? What does anyone want, and why? The universal acid of computational media is eating away at and transforming the actual or likely skills base of these engineering students. After all, when they are engineers in a lab, workshop, or the field, do you seriously imagine they will work out a triple integral in their heads or by hand? No, of course not. They will use the software available on their workstation, netbook or cell phone. Yes: cell phone. Mathematics apps for cell phones can already do such complicated mathematical calculations, and draw relevant 3-dimensional pictures. There is a drawback: currently these are expensive cell phone apps. They cost, oh, all of $30. You got it – $30 for an app that might previously have cost a thousand dollars, even if it were available for a cell phone at such an elevated price. So you can see how computational media eats away at our conception of important mathematical skills for engineers. Until a few years ago it was – rightly – regarded as very important that engineers should know how to work out complicated integrals by hand. But now computational media can do better than them, more accurately, in a twinkling of an eye. Do farmers still plow their fields with oxen? Not if they are smart. Why then, should engineers calculate hard integrals, which they will likely get wrong if they are out of practice, by hand? We can, if we wish, be in denial, and refuse to engage with the question. The continuing and rapid improvement in computational media, and its widespread availability, mean that if we are in denial, we will soon be angry! Fall 2009 I also taught a beginning course in differential equations, as I have done for several semesters now. Students in this class are largely engineers and mathematics majors. I use MATLAB as a computational engine for this course, not because I like it (I loathe its command-line interface) but because it is industry standard for engineers and computational scientists. 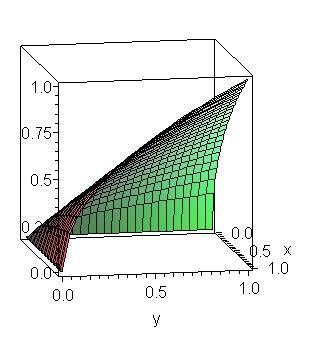 MATLAB has in-built procedures and functions for solving differential equations – either exactly or via numerical approximations when exact solutions are not possible. 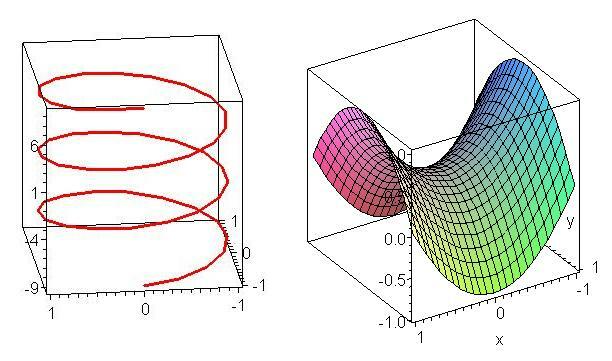 Existing differential equations texts, even those using MATLAB as a computational engine, spend most of the chapters on different methods for solving differential equations. There are two relevant facts to bear in mind here. First most differential equations do not have exact solutions, and we have to resort to numerical approximation. This is most likely to be true of differential equations engineers will encounter in their working lives. 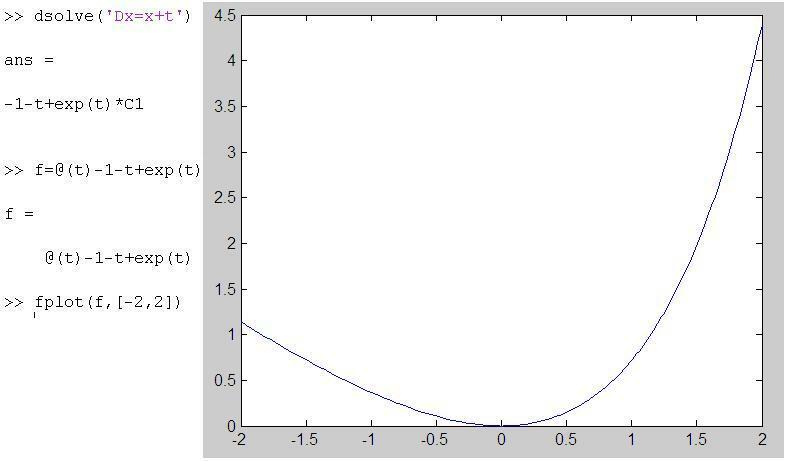 Secondly, MATLAB can solve differential equations that have an exact solution. 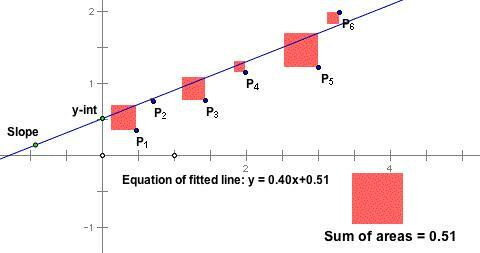 It does this at the press of a key, and will, if asked nicely, plot a graph of the solution. Should I be teaching these students how to solve differential equations using pencil and paper? Or should I be teaching them to use MATLAB and to discuss the features of the solution – its formula and its plot – as something they might or might not have expected from the differential equation. Should I, in other words, be building their intuition and sense of meaning for solutions of differential equations, and leaving the – fairly messy – grunt work to MATLAB? Once again, the universal acid of computational media confronts us with this question. We can be in denial and we can, before long, be angry and then depressed. Sooner or later we will have to accept that computational media is transforming what we teach and how we teach mathematics. Today’s important skills may be consigned to tomorrow’s trash can. Geometer’s Sketchpad (GSP) and Cabri are most often thought of as dynamic geometry environments. From a geometry perspective the computational media aspect of these software is the ability to dynamically instantiate relationships between differing aspects of a geometric figure. One moves around a figure and certain features of the figure – relationships between certain lines, circle and points – remains constant. GSP and Cabri have been been widely in schools as valuable computational media that strengthens students geometric understanding. Somewhat less well known or utilized is how much computational mathematics can be carried out in these environments: Key Curriculum Press has a free booklet with examples of the use of GSP in a number of mathematical areas. GSP had, in the past, been dismissed by some college and university faculty as a mere toy, despite Jean-Marie Laborde having based Cabri, on which GSP is based, on his earlier program Cabri Graph, which was a software tool for professional mathematicians. Despite these earlier grumblings (anger?) some colleges are now using GSP in undergraduate courses, including statistics and geometry. GSP and Cabri have been success stories in computational media in that they have helped revive and reinvigorate the teaching of geometry, as well as providing a platform for exploring and learning about many aspects of mathematics. With Wolfram Alpha we get right to the heart of the transformative effect of the universal acid of computational media, and the anger and denial expressed by many school teachers at how students use this medium. Stephen Wolfram , inventor of Mathematica, and computational scientist, has envisioned Wolfram Alpha as a gigantic computational engine that, as it is asked computational questions, learns answers and how to do more extensive and deep calculations. How does this impact middle and high school students and their teachers, who are unlikely to ask deep computational questions? Well, Wolfram Alpha will do homework for kids. Now you see the problem. Imagine a teacher sets some questions on solution of quadratic equations as homework. Following a non-computational media mind-set the teacher is most likely thinking that students will learn about the mechanics and procedures of solving quadratic equations by attempting the homework problems. Instead, these very 21st century students ask Wolfram Alpha to do their homework. But wouldn’t the teacher be able to spot something fishy, because the students would have an answer but no working, the grunt work being done by Wolfram Alpha? Well maybe not, because Wolfram Alpha will show the steps in solving quadratic equations. So students can put the question to Wolfram Alpha, which obliges with an answer showing all working. Students can copy this answer in their own hand to show the teacher. Currently Wolfram Alpha does this by completing the square. So if the teacher expected a routine use of the quadratic formula, or spotting factors, then the student would still have a little bit of work to do (bit not much). No surprise that this makes a lot of teachers angry: the computational media undermines the very skills the teachers wanted their students to practice. Could teachers think about why they wanted students to have these skills in the first place? Just because that’s the way it’s done doesn’t mean that’s how it was always done, or will always be done. The computational media is putting the question to us or, rather, putting us to the question. I discussed this issue with university colleagues who are of the opinion that solving quadratic equations by hand is a valuable and necessary skill because it is used a lot in calculus. Well carving letters in rocks was a necessary and valued skill before paper was invented, yet only a very few people know how to carve letters into marble now. You see my point? Computational media is forcing us, like it or not, to think about what mathematical skills we value and why. There’s no escaping it. So, if you are troubled … go away and deny it’s happening for a while, at least until you get really angry, and then we can move on to bargaining. Be careful out there – it’s a rapidly changing world, as Bob Dylan so poignantly noted.